What Comes After the Chocolate Bunny? I used to cook a lot more than I do now–particularly at holidays. But we’re far from our extended family here in Southern Illinois and so our holiday celebrations tend to be small. I loved to do Easter feasts with baked ham, scalloped potatoes, homemade sourdough hard rolls, veggies (none particular–usually broccoli or asparagus if there was good asparagus about), and dessert. Of course, we were always full-up with Easter candy (my mother always sends us some of our favorites from Graeter’s in Cincy which totally makes the day for me), but I liked to have some pies or a carrot cake on hand. This year, we’re having Easter lunch with some lovely local friends. 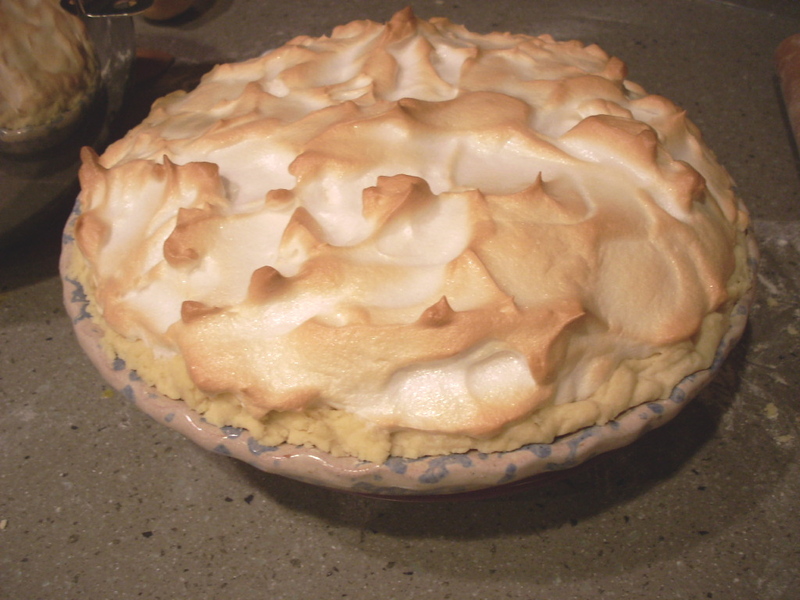 I haven’t yet decided how to prepare the broccoli I’m taking, but I spent the whole evening making Lemon Meringue Pie. It’s been a couple of years, so I couldn’t remember which recipe I preferred–Joy of Cooking or Southern Living. 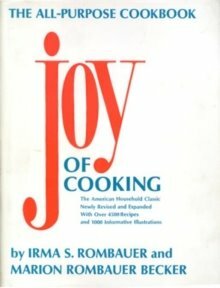 But when I opened up my 1975 copy of the Joy of Cooking, I found one red ribbon marking the pie recipe and the other marking the meringue directions! I use a decade-old King Arthur Flour crust recipe, too-I finally had to run a copy of it because the one they’d included with a flour shipment all those years ago fell apart. The crust recipe makes an astonishing four single crusts. I like to halve it so I can make a single generous crust with a little left over. Here’s the baked pie shell. One of the things I like about the recipe is its 1/4 teaspoon of lemon juice that cuts the fat just a bit. 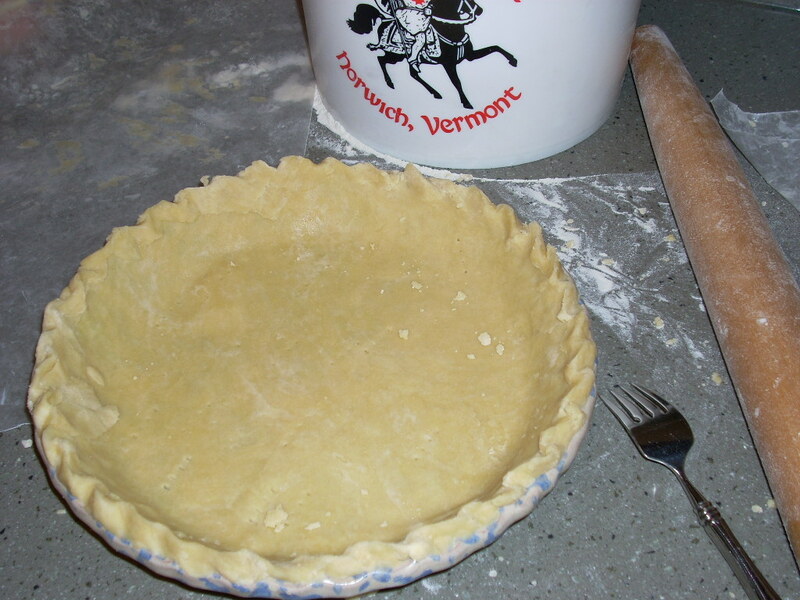 It’s an extremely short crust with both shortening and butter. 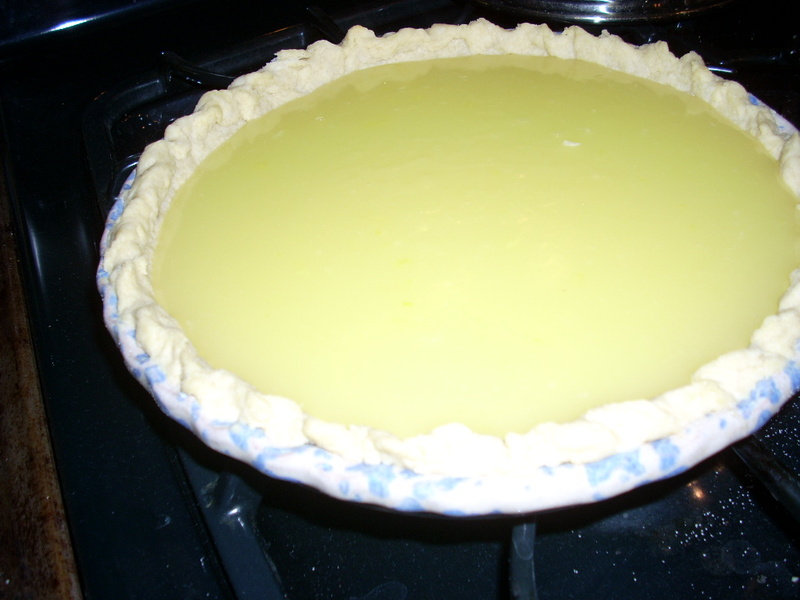 The custard uses 1/2 a cup of lemon juice, plus peel. I had a terrible time separating the eggs. My Pampered Chef separator didn’t do its usual good job. I think it was a problem with the fancy organic eggs. The whites were very clingy. The custard uses three egg yolks and I separate the whites so I can use them in the meringue. Here’s the thing about making meringue. I think it’s a Julia Child trick–wipe out your mixer bowl with 1 tea of vinegar and a dash of salt. Use a paper towel. This eliminates any trace of detergent or fat. Either will flatten meringue and you won’t get fluffy peaks. That’s why the egg separation is so critical. 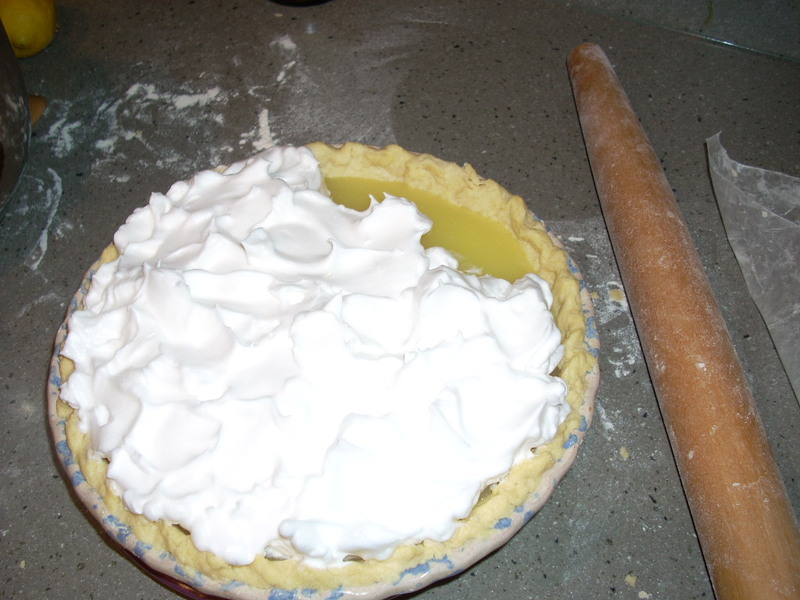 The Joy of Cooking meringue recipe suggests two whites. I go for four or five, but that’s because I’m kind of a show-off when it comes to meringue. It has to be tall and perfect. It’s one tart pie–a perfect balance for all that lovely, sweet chocolate one just might have had for breakfast! What’s your favorite food to share with people you love?